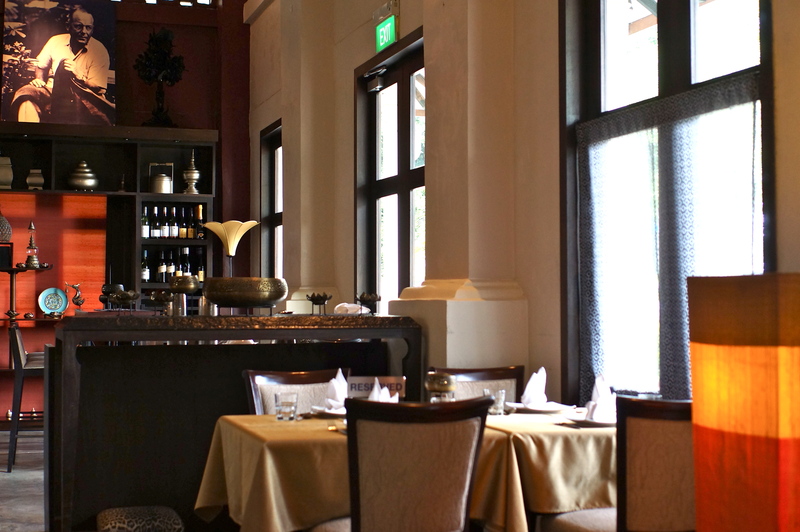 When it comes to Thai fine-dining restaurants in Singapore, there are only a few that I know of (do share with me if you know any). 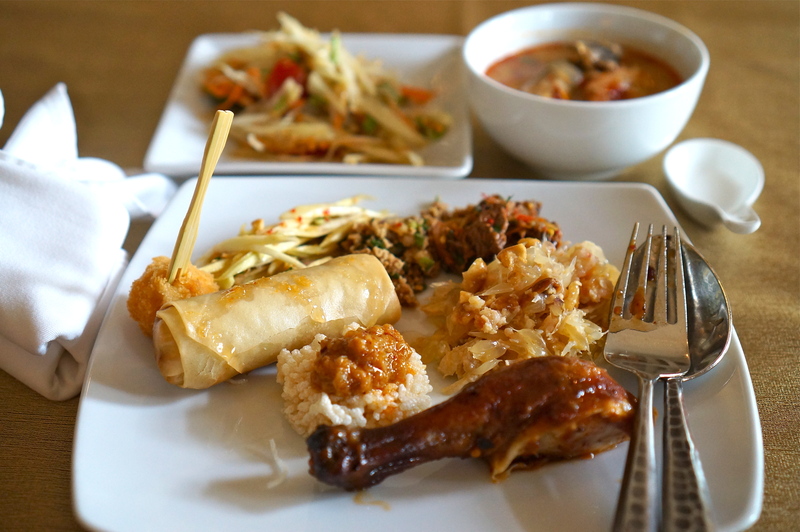 One of my constant favourites include Thanying at Amara Hotel and second, Jim Thompson. Tucked away from the noisy rows of restaurants at Dempsey Hill, Jim Thompson provides a serenity that transports you out of Singapore. In case you’re wondering if this restaurant has any affiliation to the Thai luxury lifestyle brand with the most beautiful silk-screened cushion covers, the answer is yes. Hence, you’ll find the walls of the house beautifully adorned with Thai silk too. 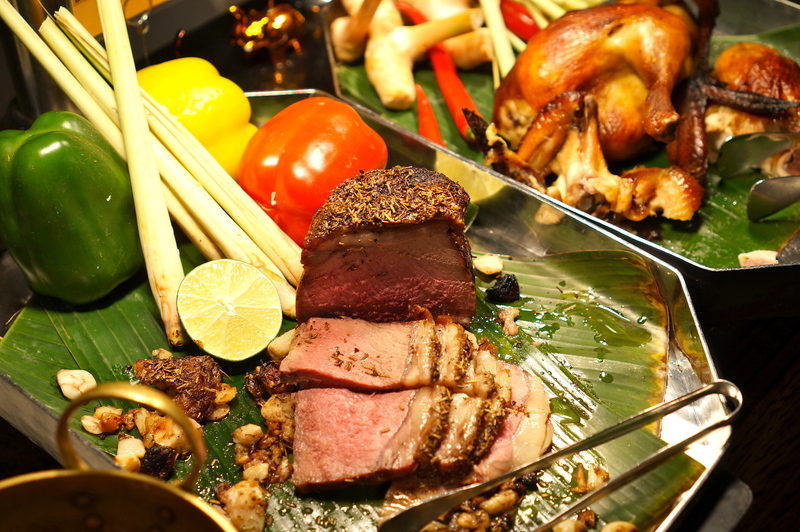 I was here on a Sunday for lunch and was surprised to find that they are serving Thai Sunday Buffet Brunch at $68++ per person! Between ala-carte and buffet brunch? The choice was obvious. The house has a beautiful lawn, surrounded by lush greenery. 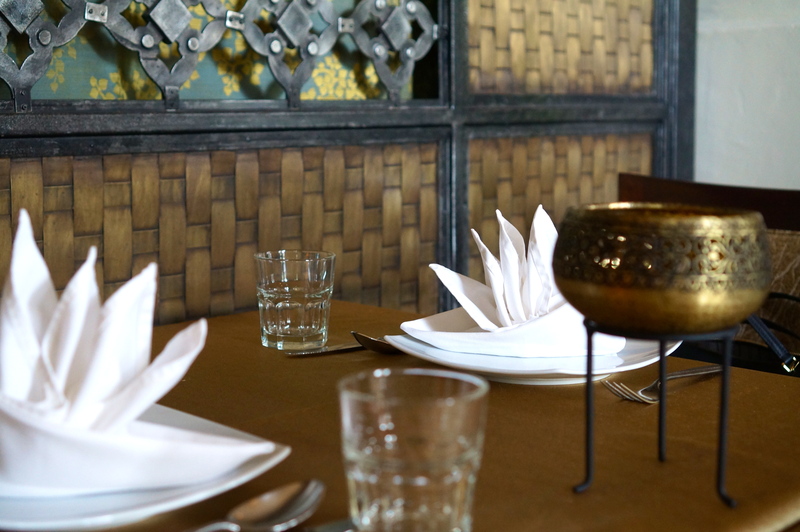 The front of the house is intricately adorned with traditional Thai motifs and many authentic elements were on display, orchestrating a wholesome experience for diners. You’ll see a portrait of the late Jim Thompson in the top left corner of the photo above. Time to dig in! 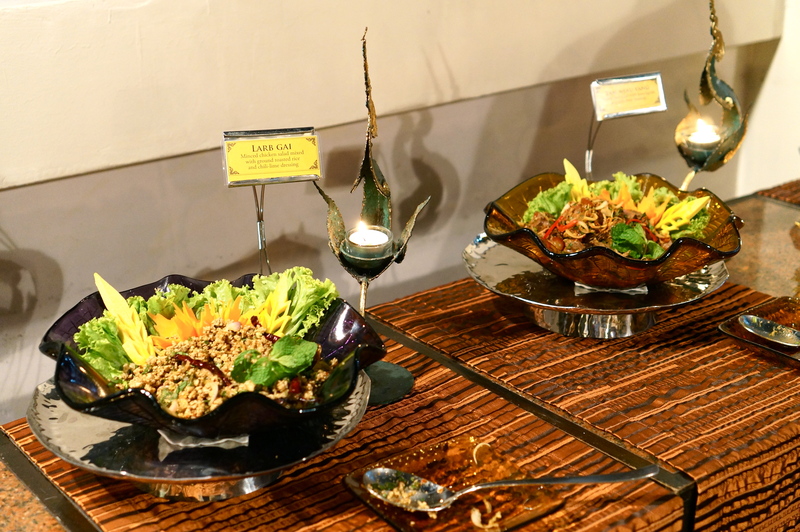 Every Thai salad that you can imagine, can be found here – Mango Salad, Pomelo Salad, Beef Salad etc. 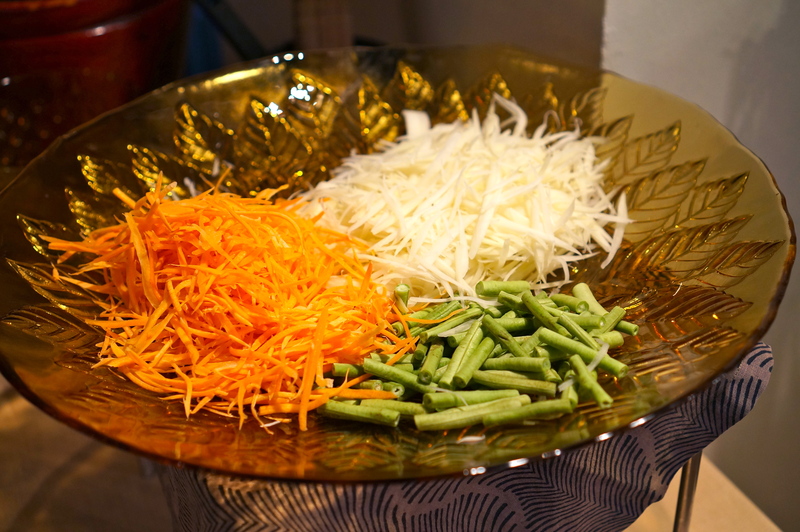 Here’s some papaya salad made on the spot by the chef! 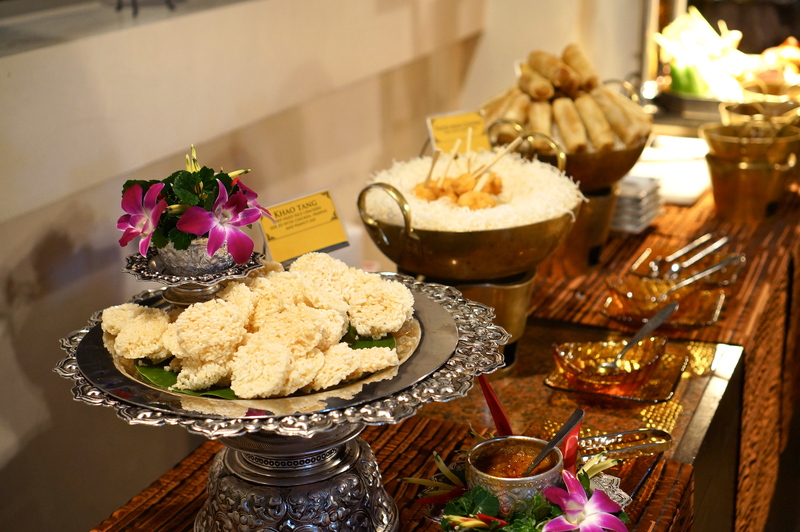 Apart from the salads, I couldn’t get enough of the crispy rice puffs and the sauce, the prawn cakes and spring rolls! I must say they are super addictive. 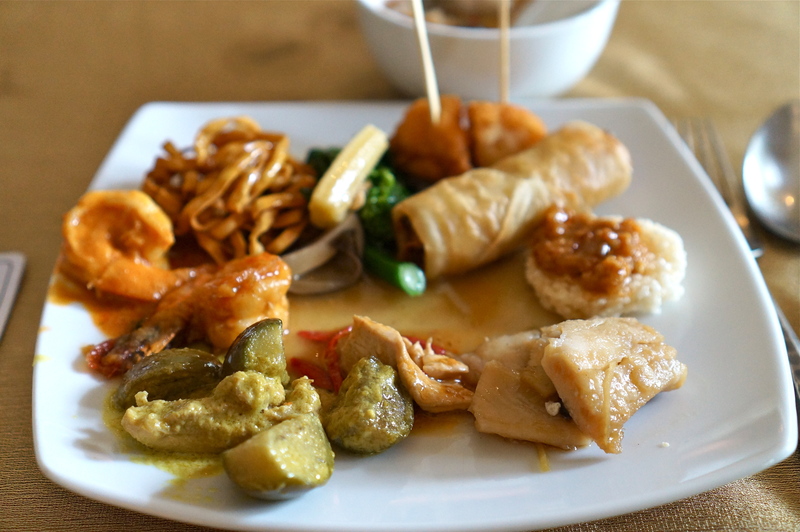 On to the mains… you’ll find various curries with different meats, fish and seafood dishes. I wished that their dishes were spicier, though I believe that the restaurant had to cater to the main crowds here, which were the Caucasians. 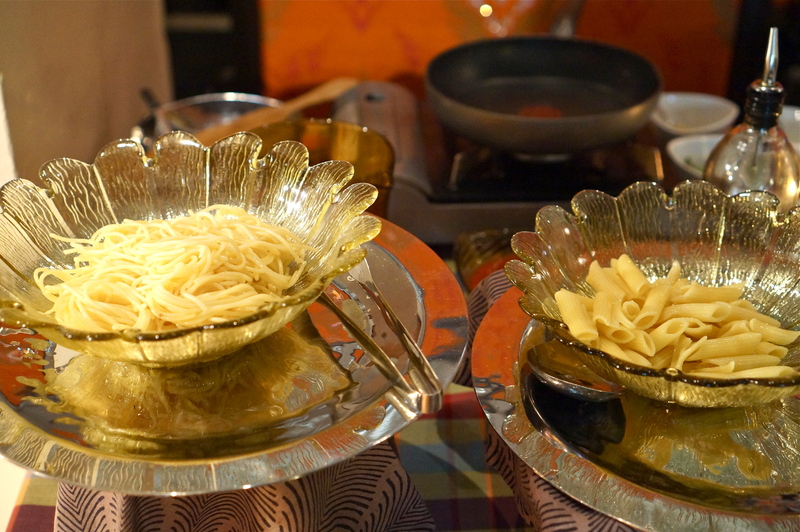 That said, every dish was fresh and flavourful – lots of herbs infused in there, so all was good! How about some Sunday roast? Safe to say, I didn’t touch this station at all. How glorious does this look? Absolutely appeitizing, if I may answer my own question. Not to forget, you have free-flow tom yam soup here! Say what! 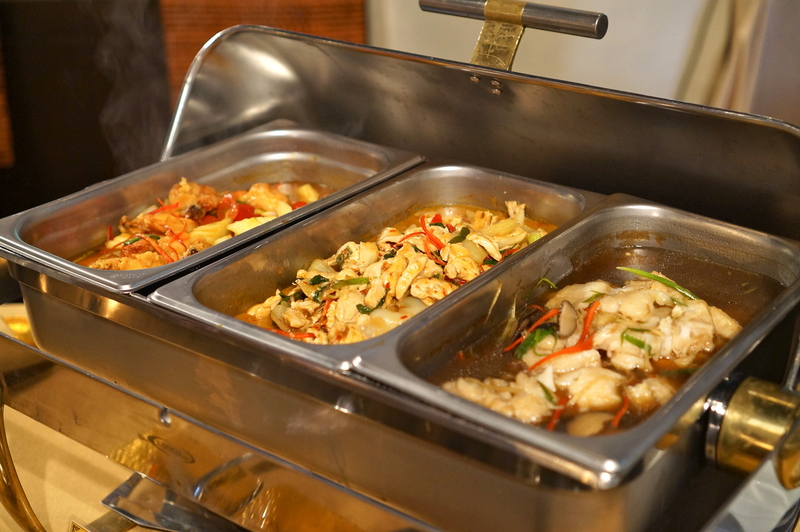 Apart from the food at the buffet line, you can order from a list of dishes, straight up from the kitchen! 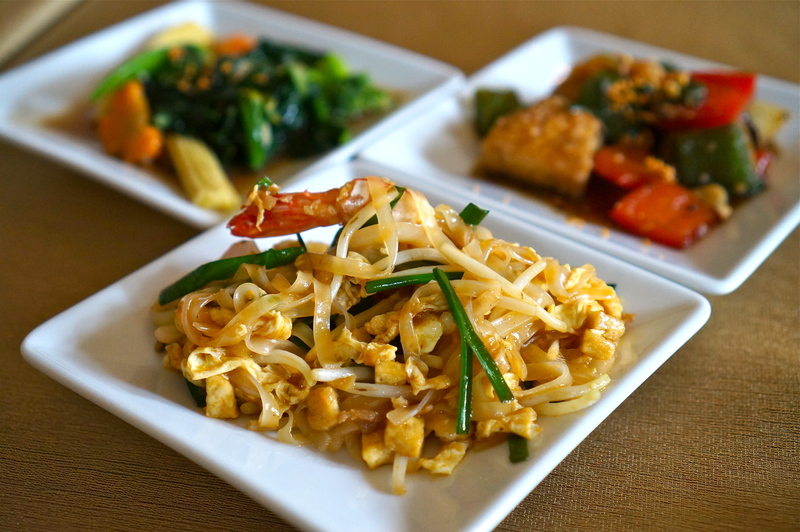 They include phad thai (oh, this was a good one), fresh vege and more fish! Served piping hot, I had no qualms about ordering extras of each of them! There’s even entertainment planned for you! On to the desserts – that is, if you still have stomach for them. Traditional Thai desserts are portioned into bite-sized ones – really cute! I find that Jim Thompson provides an awesome brunch alternative to the usual eggs bens and waffles. The ambience is a definite plus, the its food, a crowd-pleaser. I don’t mind coming back here once every few months, just to revisit the lovely flavours of Thai food, fine-dining style.